Nintendo All-Star! 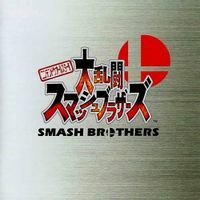 Dairantou Smash Brothers OST is the official release of the Super Smash Bros. soundtrack, released exclusively in Japan on January 1, 2001. The album is split into two discs. The first disc includes a majority of the game's music, as well as some various fanfares. The second disc includes four original remixes and a compilation of all the game's sound effects. CLUB MIXes arranged by Shinji Yoshimura vAin. This page was last edited on August 15, 2016, at 20:11.